One thing that I've enjoyed about going full time with my photography, is that not only am I able to really focus on something I love, but I've also had the opportunity to discover that I really enjoy teaching/mentoring. I've worked with a few photographers now, as well as assisting some of my friends' small businesses (BoundingHound and Memories in the Making) with brand consulting. I have enjoyed developing my own brand so much, and have really enjoyed helping others really round out their business by giving it personal touches that make it uniquely them. Teaching is always something I thought I would want to do, but find that one-on-one is the best fit for me right now. I have loved teaching my assistant Coelle the behind-the-scenes aspect to my business, as well as teaching her how to shoot. It's been so rewarding for me, that I decided I would love to start offering mentoring sessions as an aside to my photography business. I'm working on getting a page on my website dedicated to this, but am currently offering a discount to the first 3 mentoring sessions that are booked! 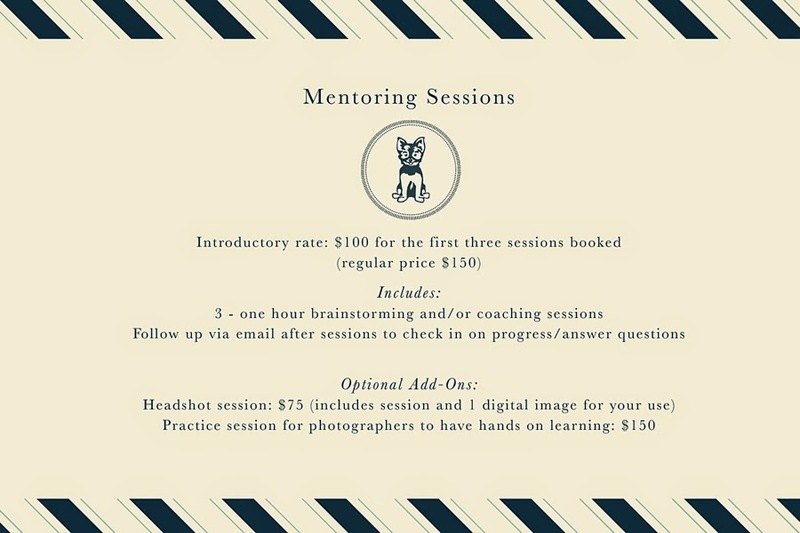 These mentoring sessions can be customized to your needs, but the basic package (and the one I'm discounting for the first 3 bookings) includes the following. Please email me at info@jenmadigan.com if you're interested in working together! *Note: I do have certain restrictions on specific topics when working with local (within a 40 mile radius of the Iowa City area) photographers, but I'm open to brainstorming and helping develop your own voice/business identity!